Jax Has Some Pre-Wedding Drama With Brittany’s FamilyPlus, it’s time for Brittany to choose bridesmaids. The Real Housewives of New York City Recap: Sparkle Party PooperIn an episode where pretty much everyone seems to be really having fun, Barbara K sticks out as a bad sport. The Real Housewives of Beverly Hills Recap: The Political Is PersonalReal-world politics intrude on Lisa’s party for her mother, while Housewives politics intrude on Camille’s wedding shower. Vanderpump Rules Recap: May the Schwartz Be With YouAs Lala, Kristen, and Stassi each take steps toward personal growth, Tom Schwartz’s commitment to boneheaded insanity feels refreshingly familiar. The Real Housewives of New York City Recap: No Holds BarbaraBarbara’s alignment with the Countess is throwing the natural balance of RHONY all out of whack. Uh-Oh — Lisa Vanderpump Cashed the Toms’ ChecksAnd no one wants to come to James and Raquel’s puppy party. An Update on the Status of the Vanderpump Rules Beer CheeseBrittany and Jax break their silence on when Meemaw’s Beer Cheese will potentially be in stores. The Real Housewives of Beverly Hills Recap: Hats OffThe Lucy Lucy Apple Juicy Affair continues to spiral outward, with its repercussions threatening Lisa and Kyle’s 12-year friendship. Everybody Lets Loose on Vanderpump Rules — Finally!Will Stassi and Beau’s relationship stand the test of the drunken group-trip? Vanderpump Rules Recap: Tequila MockingbirdsThe trip to Mexico continues with lots of petty squabbles and messy behavior magnified by tequila (the cure for FOMO!). The Real Housewives of New York City Recap: Gangster CrapBethenny’s attempt to broker peace between Dorinda and Luann at a “gangster lunch” goes about as well as you’d expect. The Real Housewives of Beverly Hills Recap: To Infinity and BeyondWhile planning her wedding, Denise doesn’t sweat the small stuff. She doesn’t even sweat the big stuff. Tom Tom Finally Opens, Thank God, on ‘Vanderpump Rules’And Schwartz finds some trouble in Mexico. Vanderpump Rules Recap: First Class DisasterWith DJ James Kennedy not around for the Tom Tom opening or Mexico trip, the role of soul-sucking vortex of need will be played by Katie. Vanderpump Rules Recap: Dead Dad’s ClubLala is not the only one to experience tragedy, she just seems to be the only who can’t experience empathy. The Real Housewives of New York City Recap: Mermaids of HonorThe bifurcation of the group while in the same small beach community after Labor Day is completely ridiculous, and exhausting. The Real Housewives of Beverly Hills Recap: Dog GoneWe’re going to be talking about the damn dog for the rest of this season, aren’t we? Vanderpump Rules Recap: The UninvitedIf this were a daytime soap, James would be murdered next episode, because everyone on the show has a motive. The Real Housewives of New York City Premiere Recap: Suddenly Last SummerDorinda being Dorinda, she is now going full scorched-earth on her former bestie Luann. The Real Housewives of Beverly Hills Recap: Read ReceiptsThe ongoing face-off between Teddi and Lisa is building to a full-on Housewives rebellion, and it is glorious to watch. 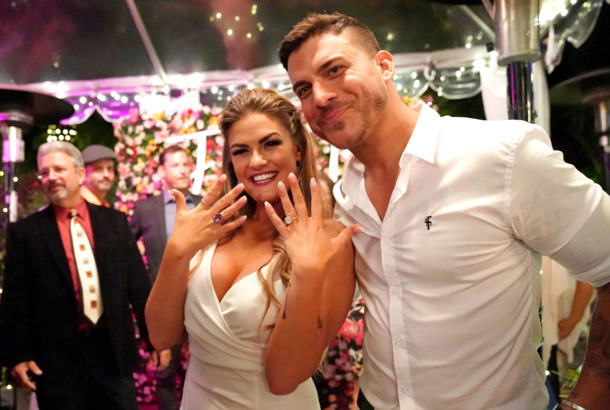 Vanderpump Rules Recap: Garbage CarterThere is no amount of company that Carter can provide Kristen that will make up for the misery he inflicts on her. Will a ‘Vanderpump Dogs’ Project Grace Our Screens?Lisa Vanderpump is reportedly working on something for Bravo related to her dog rescue. The Real Housewives of Beverly Hills Recap: Bahama MamasOn the rich women’s first night of doing things in the Bahamas, Erika brings the glam, while Lisa brings the drama. Vanderpump Rules Recap: Lala LandThis week’s episode is defined by a pileup of unhappy unions, both real and manufactured. Lisa Hired a Mixology Expert on Vanderpump Rules, Oh No!Plus, Lala and Randall are on a break. The Real Housewives of Beverly Hills Recap: It’s a Gas, Gas, GasA wasted Lisa Vanderpump is the most exciting thing to happen to an otherwise lackluster episode of Rich Women Doing Things. Vanderpump Rules Recap: Kristen Be Trippin’While Kristen shows off what an absolute mess she can be during the girls’ trip to Solvang, the boys have a comparatively tame night in L.A.
Can the Vanderpump Guys Be Near Women Without Cheating?The boys test their relationships on this week’s Vanderpump Rules. The Real Housewives of Beverly Hills Season Premiere Recap: Vanderpump and DumpAs the women of Beverly Hills return, there are some clear fractures forming within the group. It’s Girls Trip Time on Vanderpump RulesJax, Brittany, and James are in therapy, and “Crazy Kristen” emerges on a trip to Solvang. Below Deck Reunion Recap: Ship to ShoreCan the Below Deck cast sustain an hour of television without being forced to perform an endless sequence of chores? Andy Cohen’s Baby Boy Is Here, and You Won’t Believe What He Just Said About YouToss (back) a glass of wine in honor of little Benjamin Allen Cohen.